Approximately 65 million years ago, a large percentage of vegetables and animals suddenly became extinct. It was in the late Cretaceous period and there are various theories about it. Some scientists attribute this event to a gradual process that finally led to selective extinction. Others assert that a catastrophe, such as an asteroid hitting the Earth, caused these species mass extinction. However, these past life forms did not completely disappear. 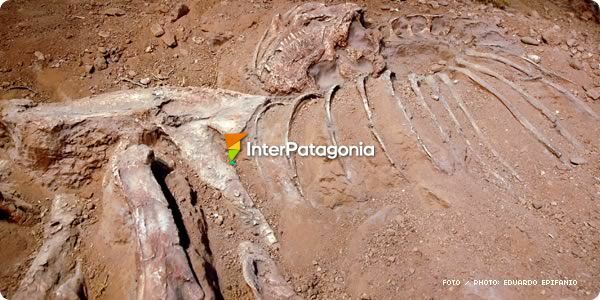 They left traces that even today leave men astonished: fossils. These prints from the past have contributed to backing the theory of evolution and they are the main tool used to study the geological past and reconstruct the history of the Earth. That is what Paleontology is about. It aims at studying all the aspects of the biology of ancient life forms: their shape and structure, their patters of evolution, their taxonomic relationships with each other and with modern species, their geographic distribution and their interrelationships with the environment. This science has also provided accurate data to locate deposits of oil and natural gas. 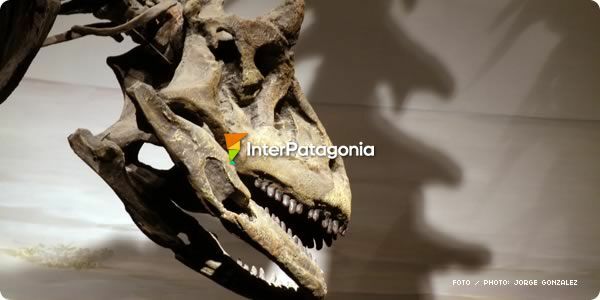 The large amount of fossils found in Patagonia has turned this land into a kind of Mecca of Paleontology. That is the name given to the event that is supposed to have put a sudden end to the Age of Reptils and marked the end of the Mesozoic Era. The most accepted theory was proposed by 1968 Nobel Prize in Physics Luis Alvarez in 1980. It implies the fall of an asteroid which, as it hit the Earth, it would have caused serious chemical changes in the atmosphere, large fires, tsunamis, severe acid rainstorms, earthquakes and even volcanic activity. The dust cloud in the atmosphere would have blocked sunlight for long periods, thus hampering the photosynthesis process and, accordingly, the production of oxygen. Therefore, the global temperature would have experimented a considerable drop and certain species dwelling the surface of the Earth would have disappeared.